I was searching for Fine Dining Restaurants one day on Urbanspoon (doing “research” as usual) and I stumbled upon this restaurant with a very good rating which was Hunter’s Lodge. Hunter’s Lodge is located in Wungong which is close to Armadale. I, myself have not even heard of a suburb called Wungong but nevertheless, for good food, one must be willing to travel the distance. My family and I decided to have dinner at Hunter’s Lodge just for something different and outside the vicinity of Perth City. It was a 45 minute drive to Hunter’s Lodge and I can say that the 45 minute drive is worth it. Read furthermore and you will find out why. 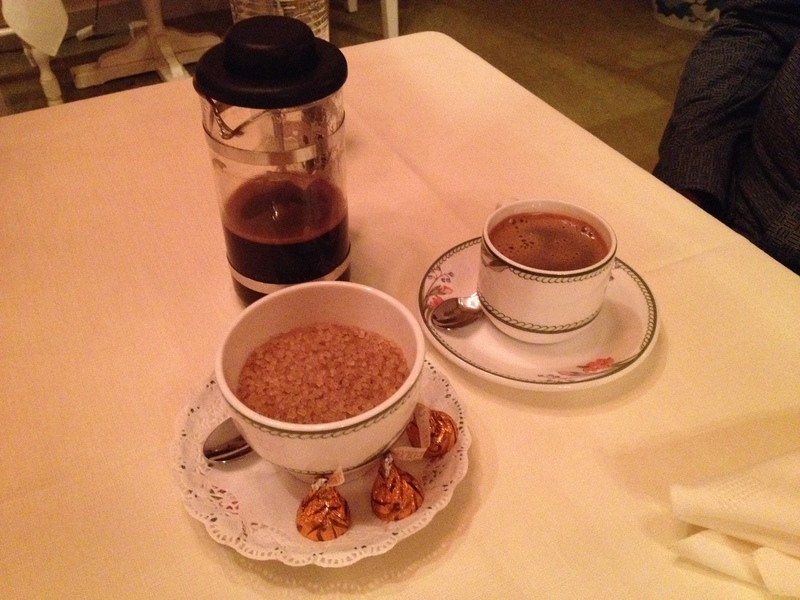 Hunter’s Lodge has a very warm, comfortable and homely atmosphere. 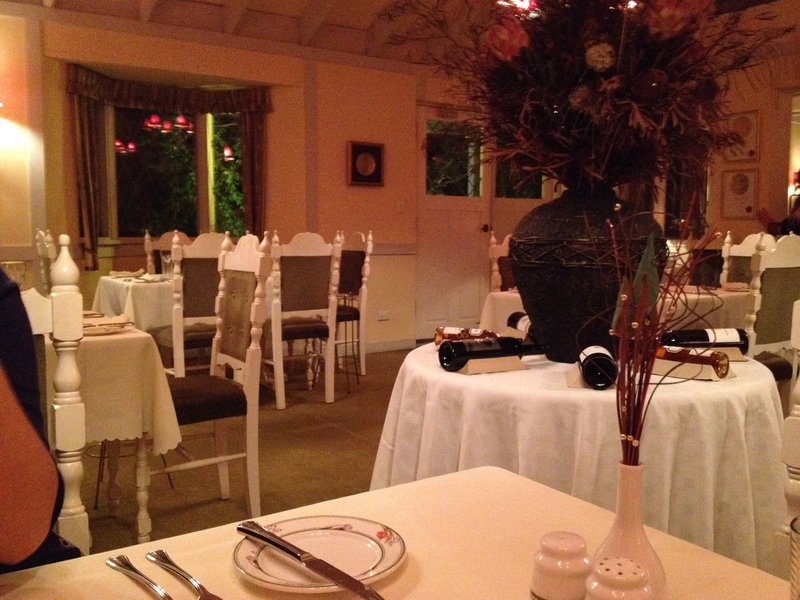 It also feels like you are dining in a traditional English cottage without realising that you are still in Perth! It was a different dining experience compared to other Perth metropolitan restaurants. The waitresses were very friendly and the service was very efficient and professional. 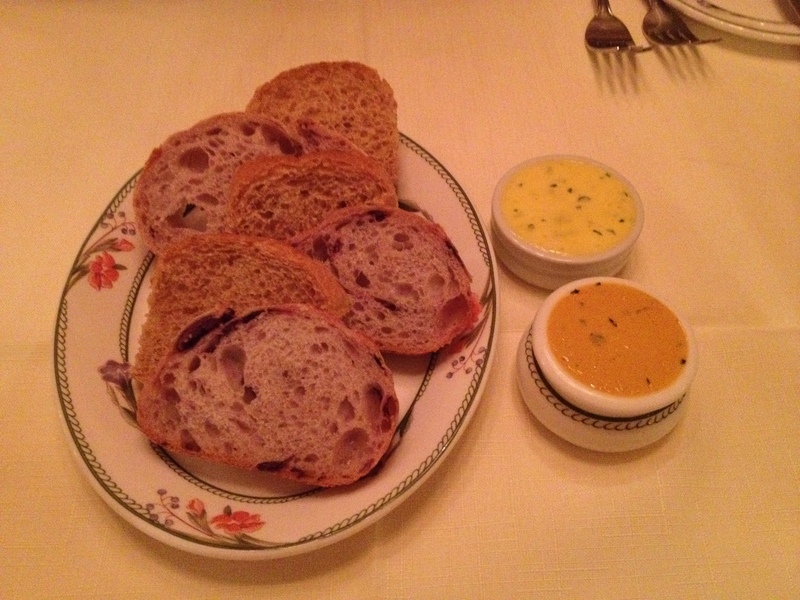 Not long after placing our orders, the complimentary bread arrived with some complimentary dips. Our Entrees arrived shortly and I had the Feta Fritter with Smoked Salmon and Sour Cream ($18.50) . 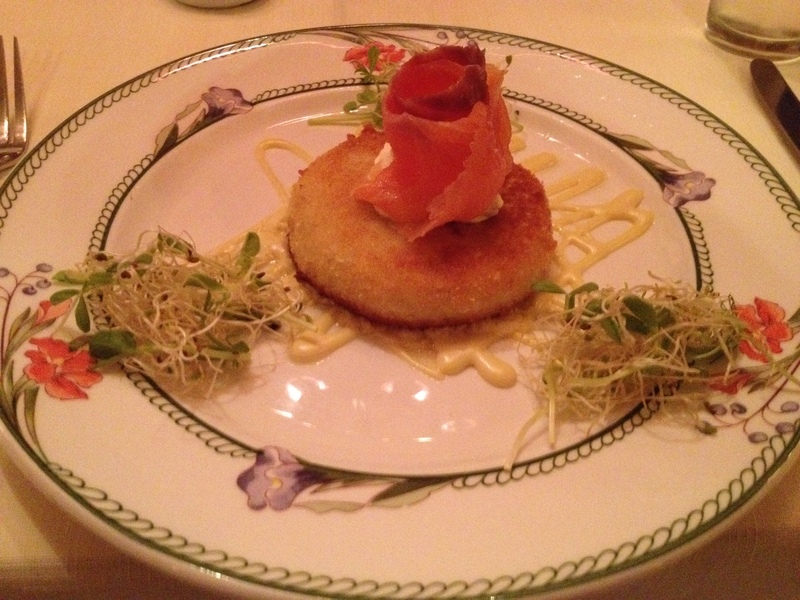 I enjoyed the Feta Fritter and thought that it complemented the smoked salmon very well. 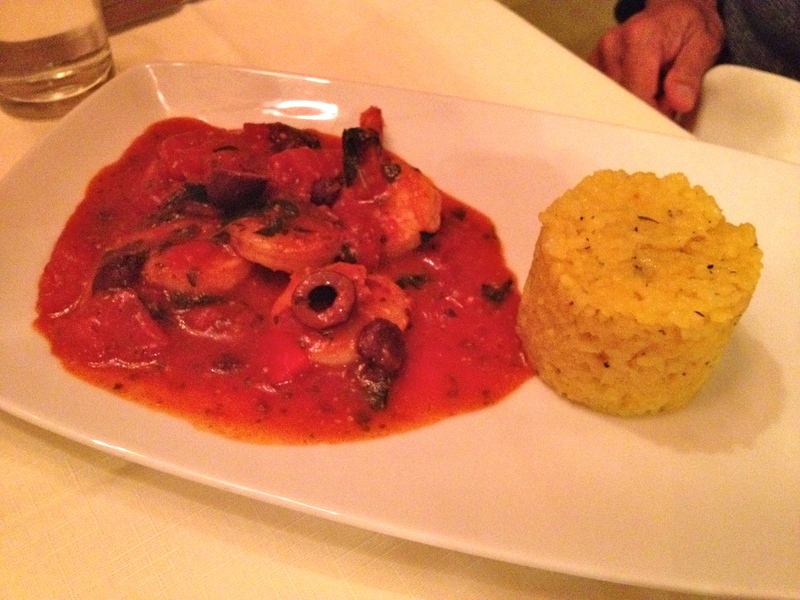 Dad ordered the Prawn cutlets “Mediterranean Style” with Lemon Risotto ($22.50). I had a taste test of dad’s entree and it was delicious! The risotto was cooked to perfection and that was a punch of acidity from the lemon, giving it a fresh taste. I thought that the elements on this dish worked very well. Mum had the Soup of the day ($11.50), which was the mushroom soup. 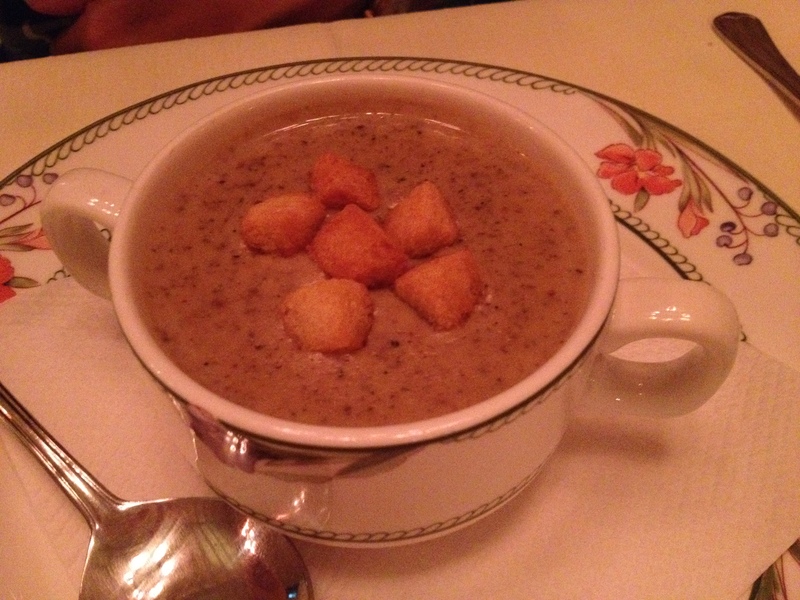 It had a rich mushroom flavour and the soup was creamy, giving it the feel of comfort food. 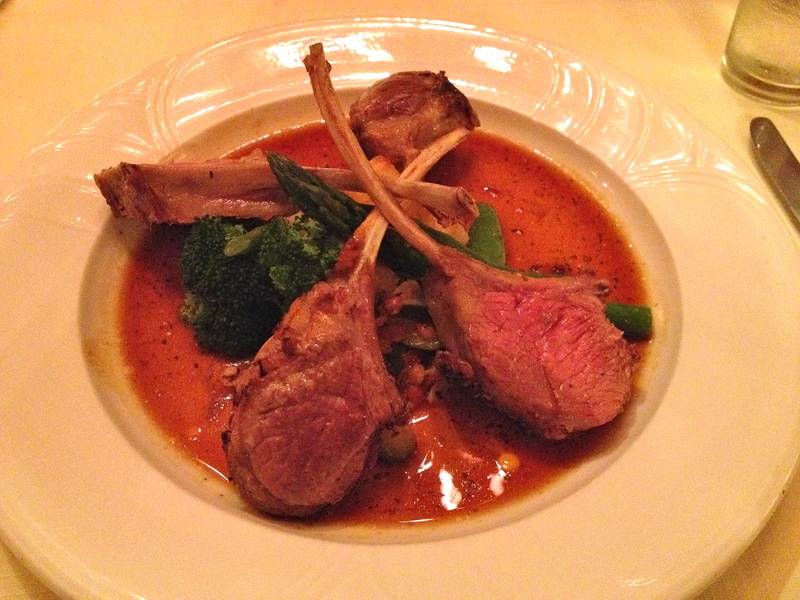 For the mains, I had the Carved rack of Spring Valley Lamb roasted and served with mint jus ($38). The Lamb was very delicious and tender. The mint jus, gave the lamb a great flavour. The serve of mash potatoes with the rack of lamb was very nice too. It looked grilled on the outside but one bite and it was soft and creamy on the inside. 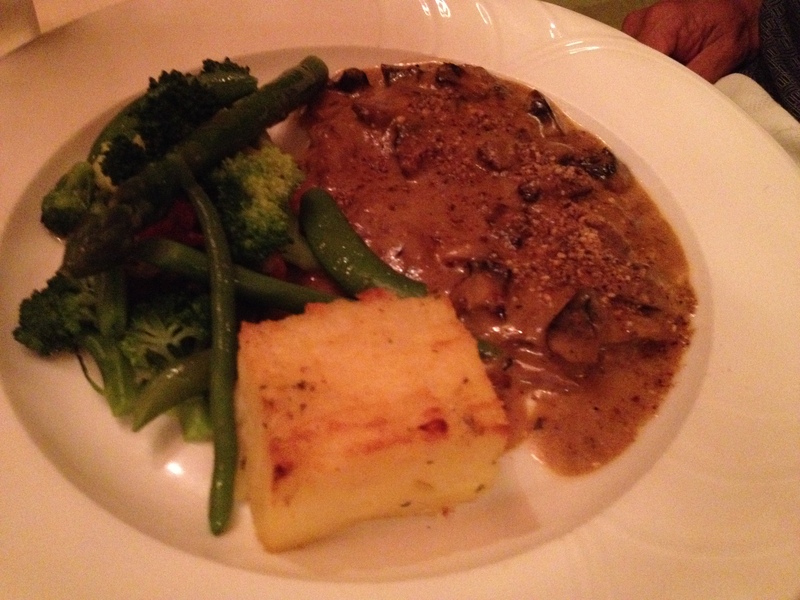 Dad had the Escalope of Green Mountain grass fed Veal sauteed with Brandy, mushrooms and hazelnuts ($36). I tried a bit of dad’s mains and I thought that the veal was cooked well just like the lamb and was full of flavour. 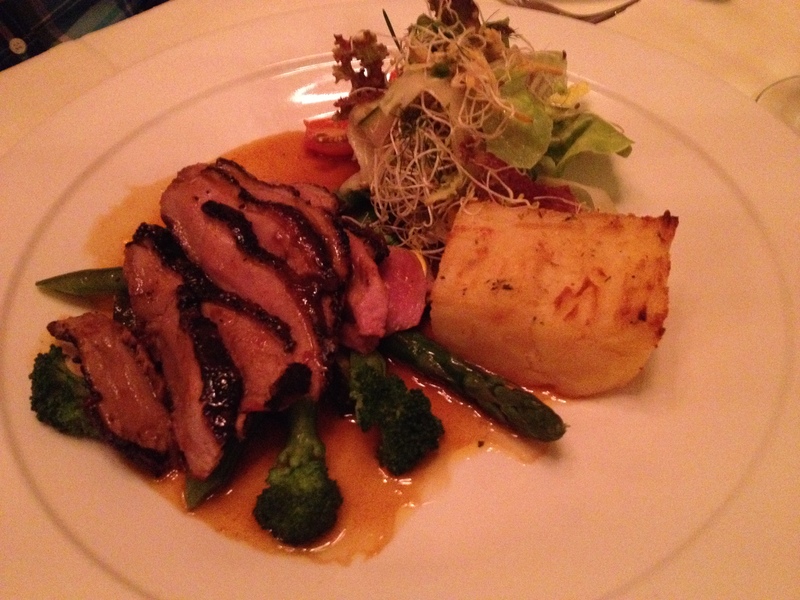 Mum had the Magret Duck steak with Tamarind glaze and Orange and Grand Marnier sauce ($36). Mum seemed to enjoy her dish and thought that it was very good. The duck was cooked perfectly leaving a hint of pink in the middle. To finish off a nice dinner, we had some desserts. (All desserts at $14.50 each) I had the Clouds of meringue with Lemon sauce. 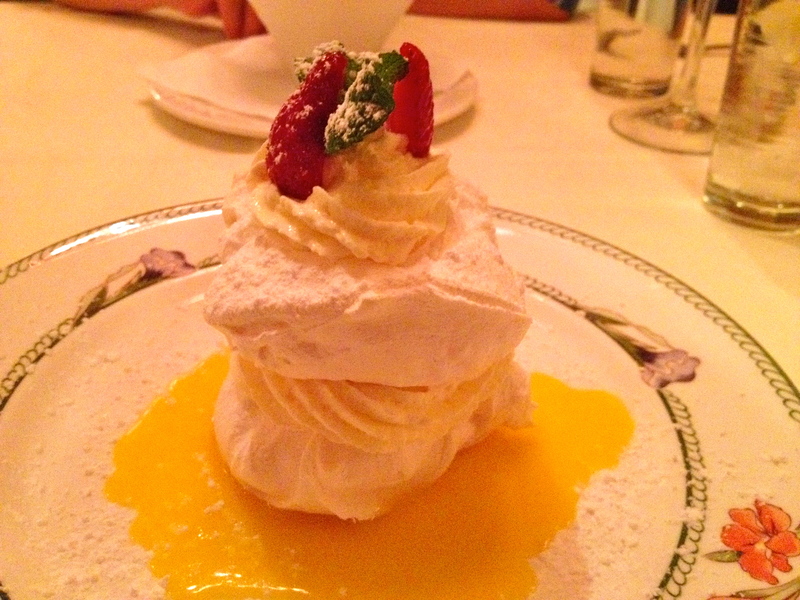 The meringue was really delicious and I thought that it was not too sweet compared to a lot of meringues I had before. The lemon sauce also complemented the meringue well. 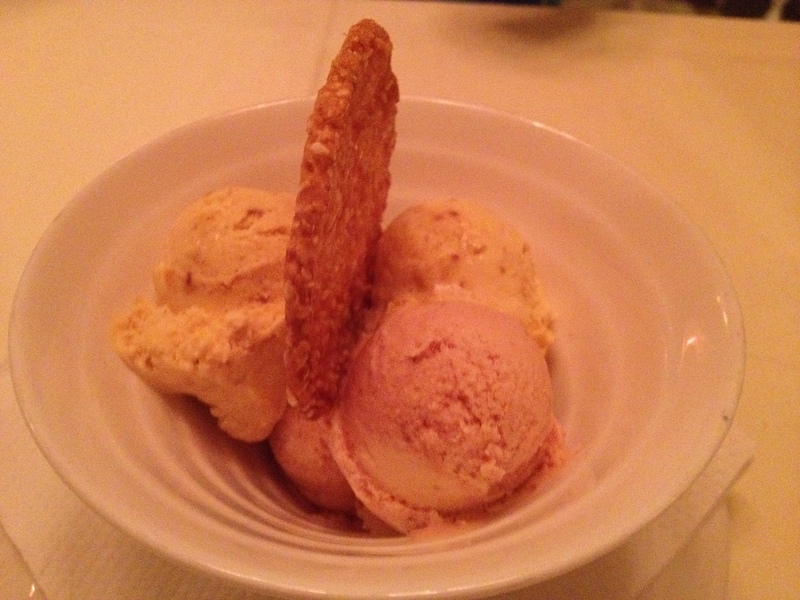 Mum had the Home Churned Ice Cream with flavours consisting of pistachio and strawberry. I had a bit of a taste and the ice cream is to die for! Dad had the warm toffee and date pudding with caramel sauce and he loved it. 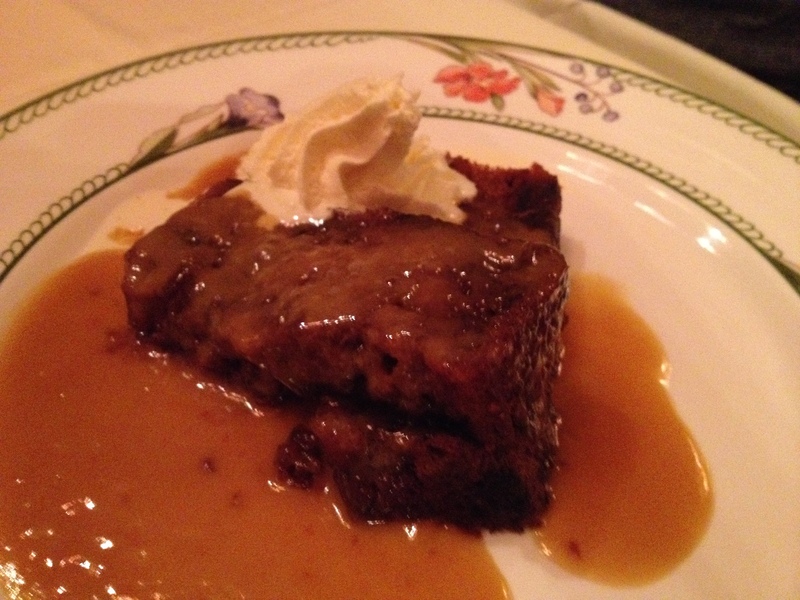 The toffee and date pudding with caramel sauce was just as good as the other two desserts too! Apart from serving good food, Hunter’s Lodge also serves strong black coffee which comes with a plunger and a side serve of sugar. Hunter’s Lodge is one of Perth’s best kept secret and indeed a hidden gem. I will definitely be back in the future. How I wished that I lived around the area and won’t have to drive 45 minutes down to Hunter’s Lodge but if the food is good and if you are in no rush, why not take a slow drive down?